If you are addicted to drugs or alcohol and want to recover as soon as possible, you have likely tried many things without much success. Addicts take different steps to reach their goal but don’t know what will give them the best possible results. The problems we face in life sometimes serve a purpose we won’t always understand from the start, such as moving us closer to God or teaching us to place our complete trust in Him. The inability to combat your addiction is a sign that it’s time for you to turn back to God and allow Him to enter your heart and mind. Your reunion with the loving creator of the universe is the foundation on which you will reclaim yourself and get the life He has planned for you back on the right track. Before you learn the steps that will help you turn addiction into a thing of the past, sometimes you must determine the approach you don’t want to use. Feeling as though they are untouchable, a lot of addicts believe they can achieve sobriety without outside intervention. They will try to quit without asking anyone for help because they are too proud to admit they are struggling. No matter what they do, most of them will keep returning to bad habits, which destroys their hope and motivation. Rather than repeating the same mistakes, let God guide you. God will not make a difference in your life until you accept Him as your Lord and Savior. So your first step is to take some time to ask God to enter your life and to show you the way. Sincerity is required if you want to notice a positive change in your life that will empower you to break away from your addiction and move on with your life. But understand that God is waiting for you to return to His loving arms and wants to fill your life with overflowing grace and peace. Addicts will sometimes refuse to take any accountability for their life or the situation in which they have found themselves. They often blame stress, their jobs, an unhealthy past or something else for the addiction that has destroyed their lives. God is ready to deliver you from the trap and put you on the righteous path, but you must first acknowledge the role you played in your addiction. 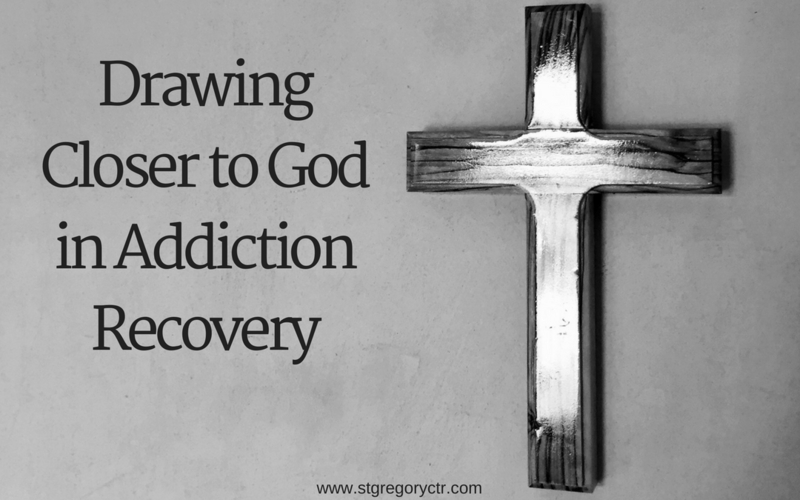 Through acknowledging your part in the problem, you can reconnect with God in addiction recovery. If you are like others who have battled addiction, you have gone to great lengths to feed your habit, and you have likely harmed others along the way. Whether you engaged in criminal acts or abandoned obligations to your friends or family, repenting of your sins is an important piece of the puzzle you can’t afford to overlook. Admit in your heart that you have wronged others and ask God to forgive your transgressions, and He will forgive you. Since God has given you free will, you must let Him know that you want His help with your addiction. God can do anything He wants, but you must pray to Him about the problem you are facing if you want the best possible results. You can speak to God anywhere you go because He always has a connection to your heart and soul when you put your problems in His hands. You will still need to put in some effort if you want to stay sober, but God will handle the hardest part of your recovery if you let Him. God’s message can sometimes be obvious to those who request it, but that is not always the case. God works in unique ways that we might not understand, but he can use any person or situation to send the message you need to hear. After asking for His help and guidance, pay attention to the songs on the radio or the words of an old friend. God’s advice and support are around you at all times, and you only need to be open to hearing it. When addiction takes over your life and makes you feel hopeless, moving closer to God is the answer for which you have been looking. He will come into your heart and guide you in the right direction so that you won’t need to worry about falling short of your goals. Repenting of your sins and asking God to cure your addiction is a powerful step, and it is always a good step to take. You cannot rely on yourself because as a human being, you can never achieve perfection. So, instead of looking at your addiction as a negative factor, consider it an opportunity to reconnect with God in a way that will stay with you for the rest of your life. 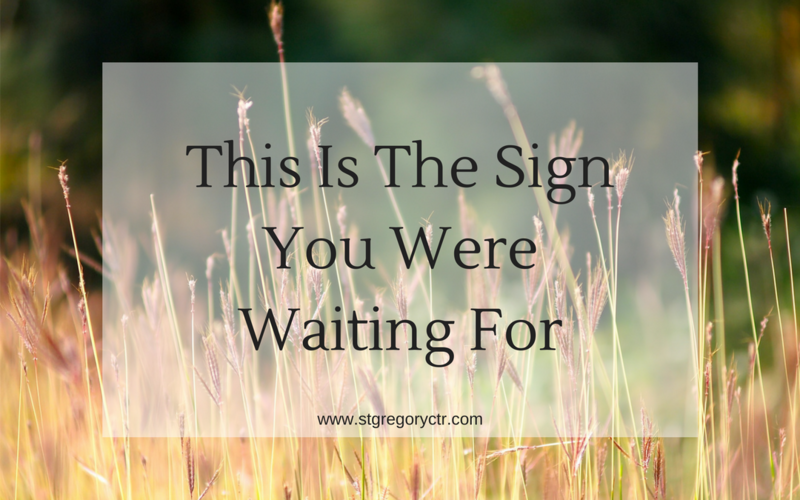 If you, or a loved one, is dealing with addiction, contact St. Gregory Recovery Center today. We can help you reconnect with God and rely on His saving grace instead of your own abilities.